Every Sunday we gather together in the campfire circle for a few minutes to recognize some of the best in camp. While we certainly recognize campers with achievements at tennis or most improved in swimming, our most special recognition is saved for campers who are truly great human beings. We have made these recognitions of “Campers of the Week” in each age group for decades and they are all truly special. These girls represent the spirit of Point O’Pines. We have decided that, while there is so much that we can recognize, this summer we will discuss and highlight several important attributes described below. I hope you are just as excited as we are to celebrate the great young people who we will honor this summer. 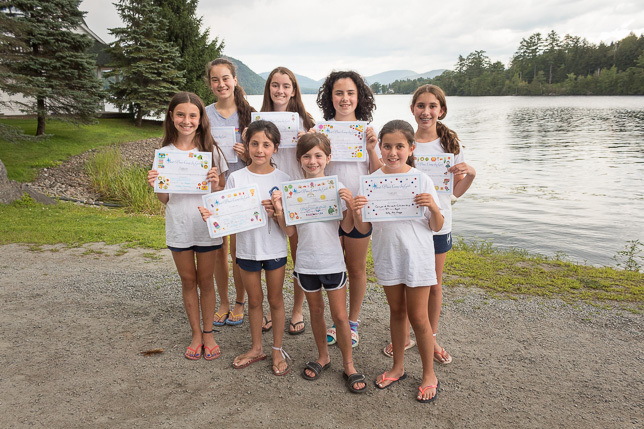 We are always excited to see these Campers of the Week grow up to be amazing women and an inspiration to us all.